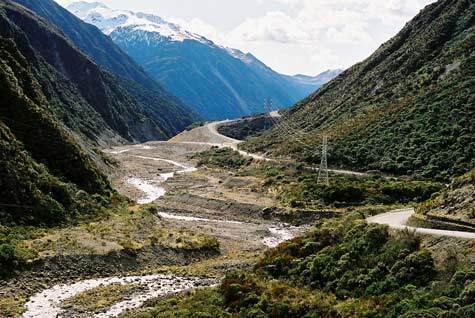 Arthur’s Pass, through the Southern Alps between the headwaters of the Ōtira and Bealey rivers, has a rugged grandeur. Marking the boundary between Canterbury and Westland, it has been used as a route to the West Coast by both Māori and Europeans. The road replaced a track in 1866, giving access to the West Coast goldfields.